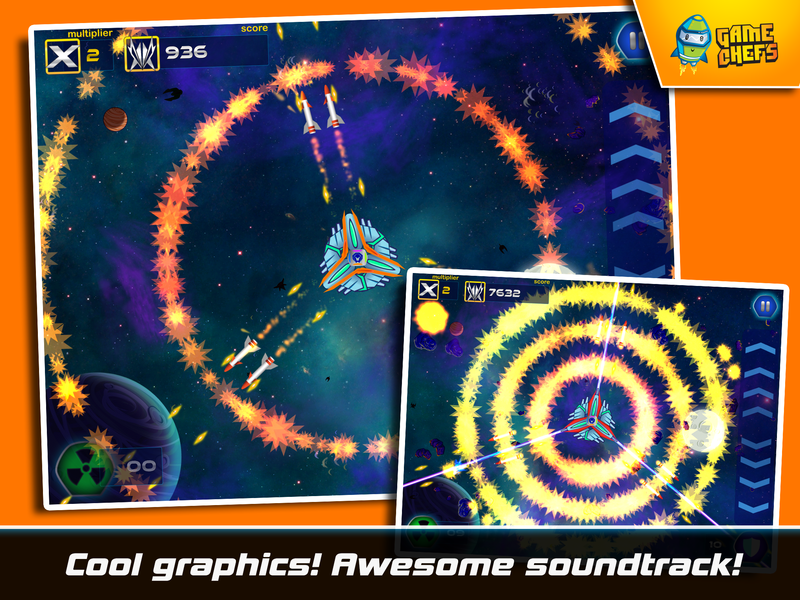 Take command of the galaxy defense force as they fight off the alien horde in a last ditch effort to save Earth. 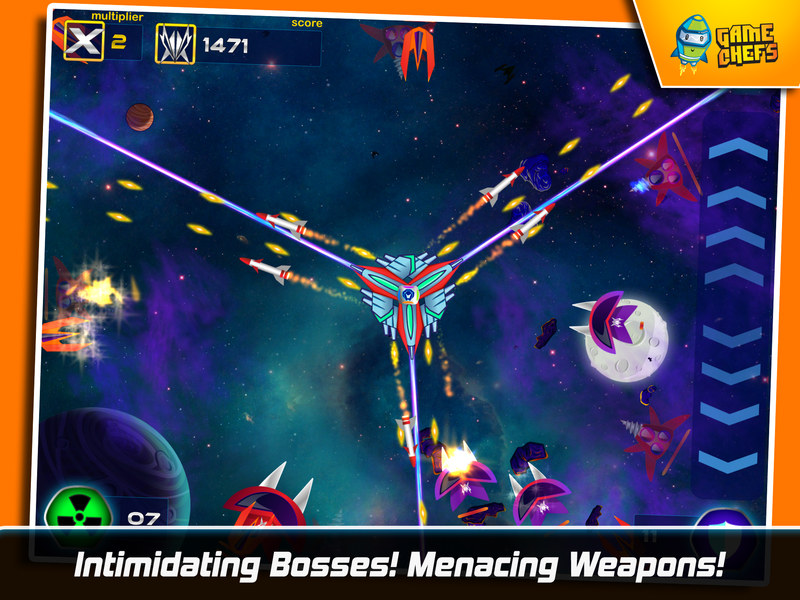 Galaxy defense force is a tribute to the glorious age of arcade space shooters. With powerful weapons, customizable ships and an endless horde of enemies, the game boasts a fast paced action filled experience. 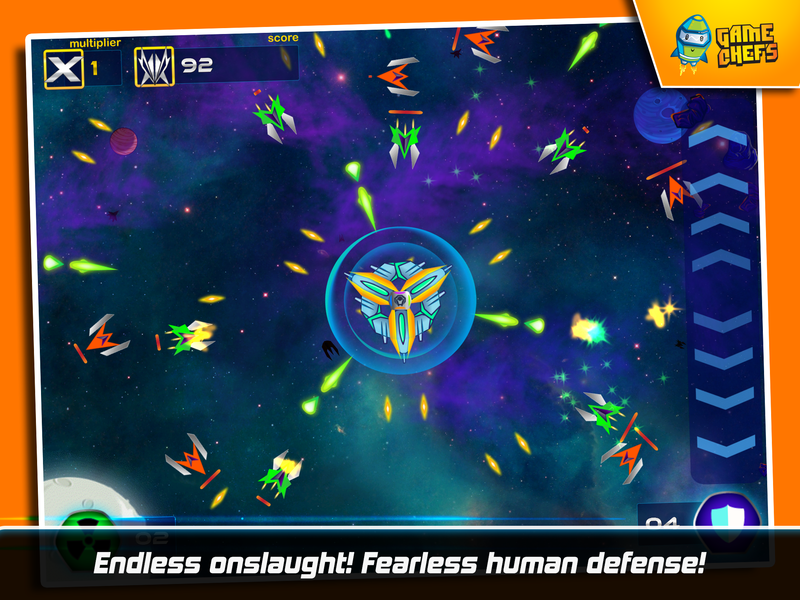 Galaxy defense force is the best top-down universal space shooter with unique gameplay, modern graphics, and super action. It introduces an incredibly creative new approach to target fast approaching alien enemy ships. The game controls are easy to understand yet hard to master. 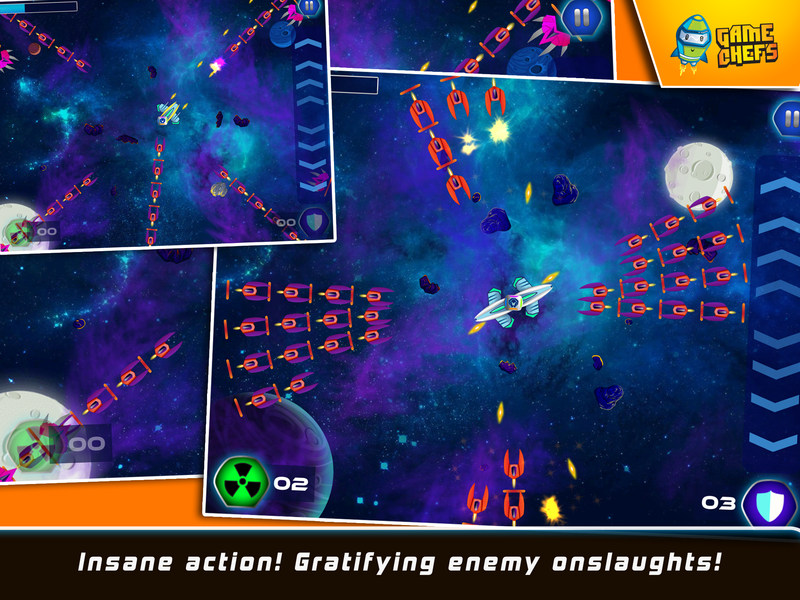 The game is fast-paced with wave after wave of enemies with interesting behaviors. Players must match the assault speed to survive or die!. The game becomes increasingly difficult and challenging and the players must master the skills to complete missions and unlock all hidden powers and ships. You must unleash mean and devastating weapons, and destroy the real alien horde threatening earth’s very existence. Control your entire fleet and fire weapons with just a touch of your finger. Your touch is your fleet’s command! 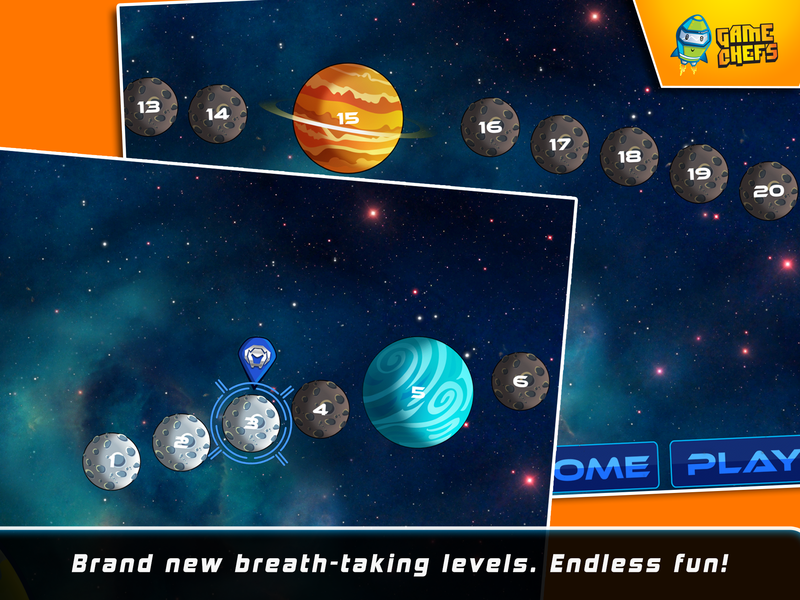 Use the powers at the tip of your fingers to crush the alien onslaught and save the world from eternal doom! Your troops are the only hope between human survival and the age of extinction. Enemy is upon you and this is mankind’s darkest hour. Entire cities are burning. Act now or your city could be destroyed by hordes of alien ships in a matter of seconds. Amazing HD Graphics and a mean audio score. Upgrade your ships to become an impenetrable fortress of raw power. *** An Alien race called Fremdon is turning our cities and towns upside down! We have suffered colossal damages and there seems to be no end to the alien onslaught. The fight for earth is raging on, and an elite force of human pilots is our last hope! This Intergalactic Clash of Civilizations is happening at your doorstep! 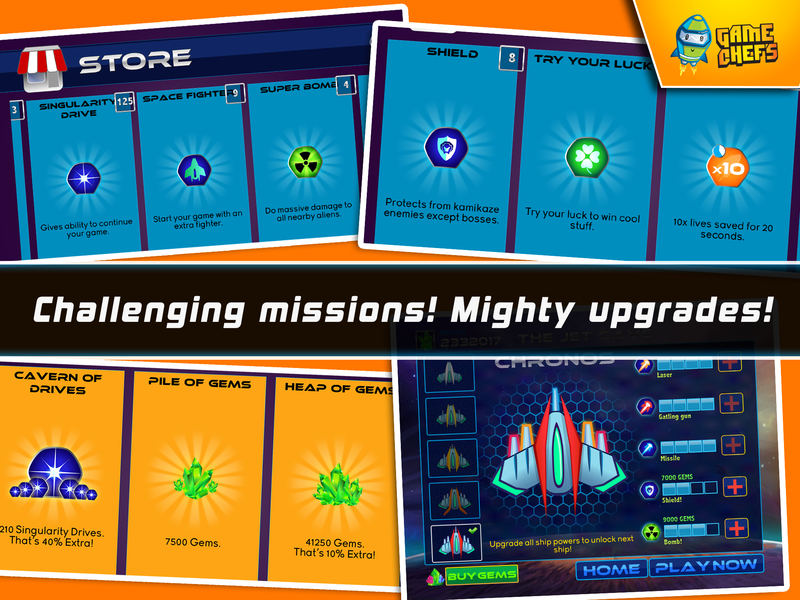 You must join other Heroes and Crush this Alien onslaught! Will you be the Hero today? How long can you survive and hold the enemy at bay? 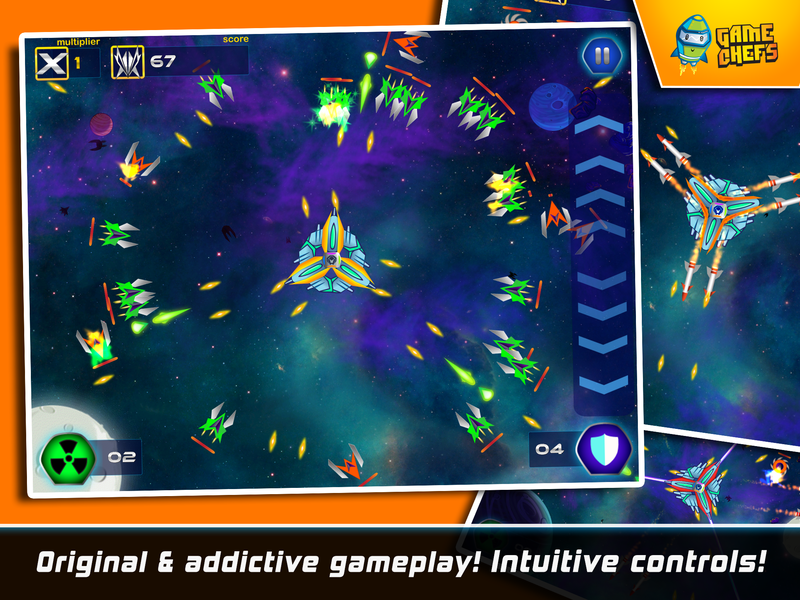 *** Galaxy Defense Force Space shooter is available throughout the galaxy on Android phones and tablets.